Since 1985, the creation of optimal structural health in the feet has been the driving force of Dr. Kevin Hearon, our clinic director. 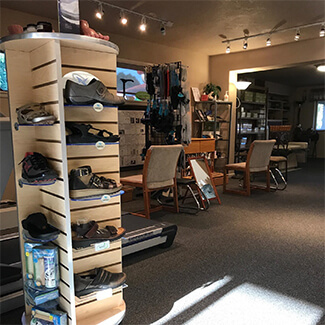 Foot Professional in Boise is dedicated to working with people from all walks of life, with an emphasis on weekend warriors, high school and college athletes and elite sports professionals. We welcome anyone who is suffering from painful foot issues, including plantar fasciitis, heel spurs or unstable ankles. While attending a chiropractic conference in 1985, Dr. Hearon was invited to join a group of distinguished professionals: a national football coach, top athletes, chiropractic leaders and representatives of a company (Langer Biomechanics) that manufactured foot orthotics. As Dr. Hearon has an international reputation for excellence in his knowledge of extremity mechanics, he was asked to fly to New York the following morning to act as a liaison between the chiropractic profession and Langer Biomechanics. 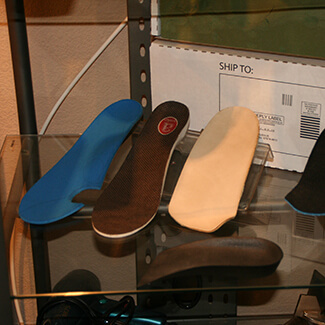 This opportunity made him internationally known as the go-to guy in the field of professional orthotics. There is no one in the world today that has more knowledge of foot pain solutions and the science of custom orthotics than Dr. Hearon. He has consulted with the largest orthotic companies in the nation and is revered for his research and expertise in chiropractic extremity adjusting. Dr. Hearon has had vast experience in foot and extremity problems for over four decades. Many refer to him as “the doctor’s doctor.” If you’re suffering from painful issues with your feet, ankles, knees or hips, please contact us today; we can help!